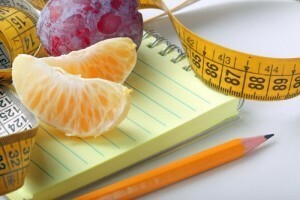 The Drs: Weight Loss Strategies + 8-Hour Window For Eating? The Drs: 8-Hour Window For Eating? The Doctors shared that a recent study revealed that limiting the time you eat to an eight-hour window every day can reverse obesity and reduce the risk of developing Type 2 diabetes, no matter what you’re eating. Scientists claim if you have breakfast at 8 a.m. and dinner by 4 p.m., even if it’s fatty or sugary foods, your body burns more calories. The findings say that keeping a consistent eating schedule allows the body to predict meals and synchronize digestive systems to digest the food faster. Critics say it sends the wrong message to the overweight. Dr Rachael Ross said they often have patients who come in saying they don’t eat after 6, which means they should be able to lose weight. Dr Jennifer Ashton said in her nutrition program she learned that you’re not truly in a fasting metabolic state until you’ve gone without food or calories for 24-48 hours. She said it’s in versus out and over a 24-hour period, she just doesn’t believe it. Dr Travis Stork said when it comes to losing weight, each person is different. He said the best long term strategy for being at the right weight is learning how to respond to true physical hunger, not emotional or fake hunger. He said if you’re truly physically hungry and you eat a well-balanced nutritious meal, that’s the best way for weight management. Dr Jim Sears said if you’re craving something specific, it’s usually not real hunger. Dr Ashton said some people like some sort of structure when it comes to their eating habits, so if this specific eight-hour window strategy works for them, then it may work because they’ll just end up eating fewer calories overall. Dr Drew Ordon said the structure will create physiological memory. Dr Stork said there’s a reason why there are meals, part of which is just functional. He said it’s hard to have time to just eat all your meals within a certain time period. Dr Ross said Dr Stork had it right when he said each person is different and share that she was at her slimmest when she ate her carbohydrates at the same time each day. Dr Ordon said you should have breakfast and not eat dinner too late, no matter what diet you’re on.